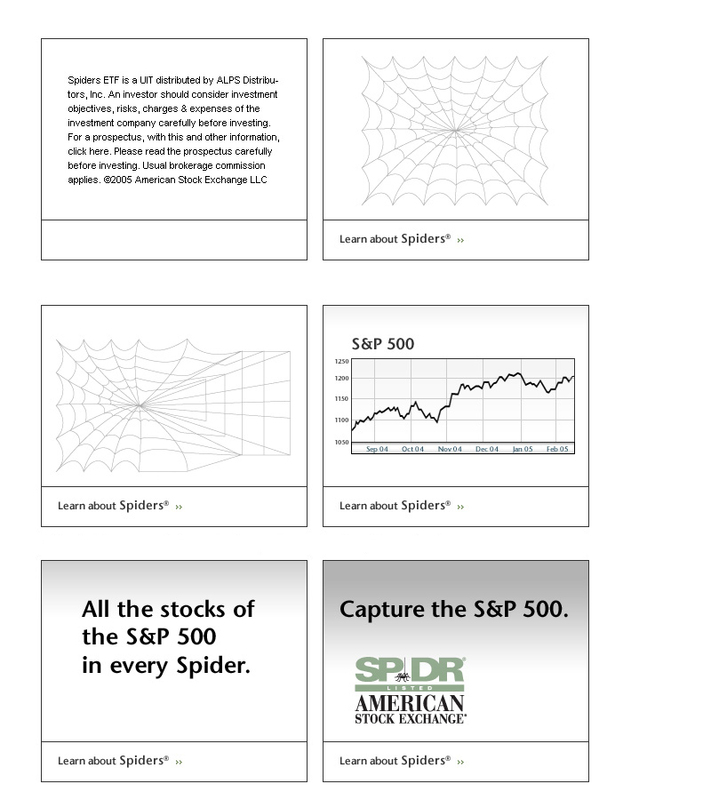 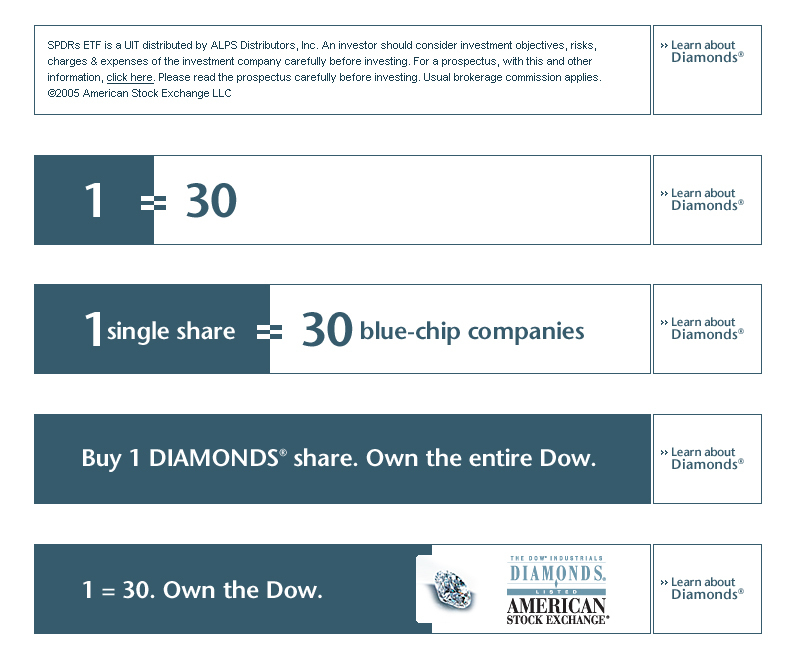 American Stock Exchange needed site redesigns and banner campaigns for three of their Exchange Traded Funds (ETFs) – Dow Diamonds, S&P 500 Spiders, and MidCap Spiders. 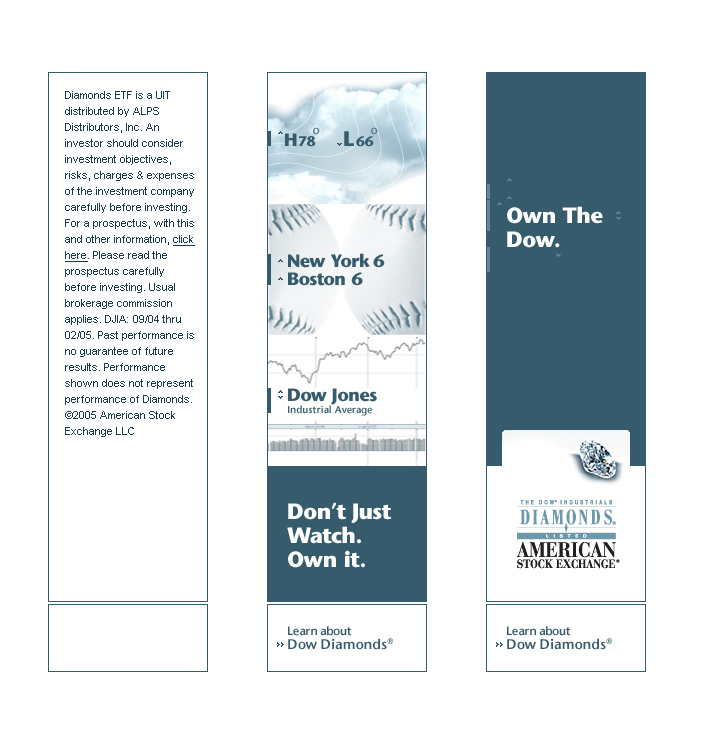 I particularly liked concepting the banner campaigns, which playfully and intelligently targeted their audiences. 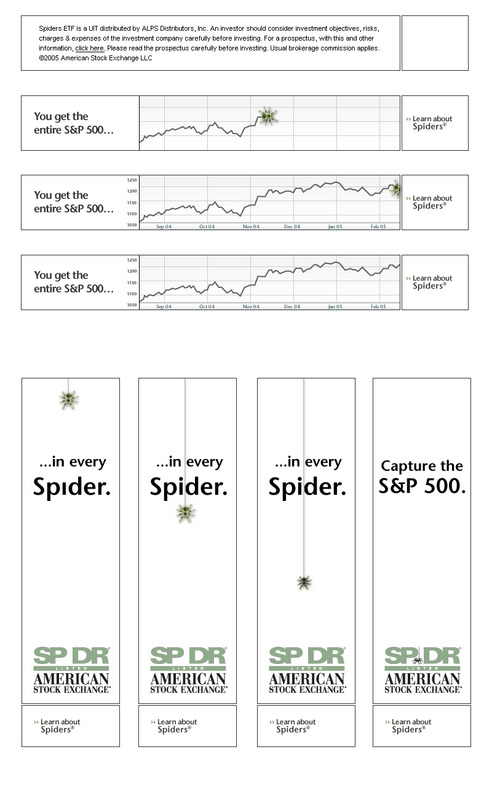 All components tied together carefully… and successfully. 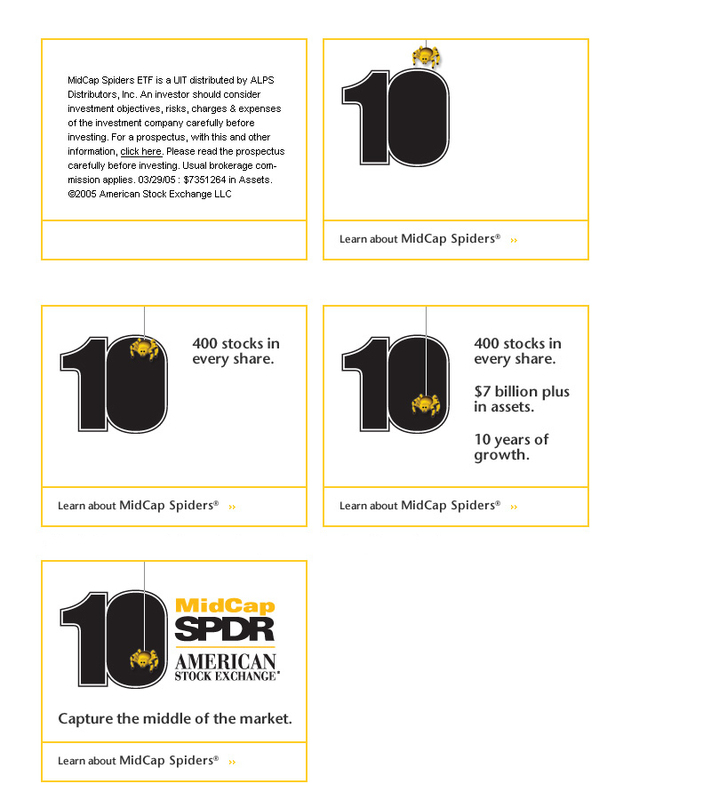 They sharply increased the number of prospectus downloads.